On a recent visit to the river, enjoying the sun that has finally come out. Some of my loyal readers have noted that I have not been posting at all for months, and have been very haphazard in frequently posting for quite some time. My subscribers to my email list know that I was diagnosed with Chronic or Persistent Lyme Disease after a year of dealing with, to that point, a mysterious health break down. Recently I was also diagnosed with mono. Ironically, it was not the underlying health issues that were the straw that broke the camel’s back for my writing, but rather Lyme treatment. The process of healing and getting better can not only be complicated with something like Persistent Lyme, but it can also make you significantly sicker before it makes you better. Yes, I’ve been quite sick. But I have a lot to be thankful for too. We know what my underlying issues are (finally). We recently changed up my treatment plan, and while I am only a few weeks into it, I finally feel hope for getting better. Despite feeling so unwell and unlike my normal self, I have really enjoyed investing into my children after a wild previous year where I was acutely sick, in pain, and, on top of it, we moved three times. Being so ill for so many long months has also rebirthed a renewed love of books. While I wasn’t creating new recipes and cooking new things, I was enjoying reading to my children and reading many, many books myself. They have helped me not only survive hard days, but they have rekindled my love of writing stories and on other topics. One very small way I have enjoyed exploring the world of books online is by starting to post short book reviews on Goodreads on many of the books I am reading. Finally, while my health took a deep nose dive, and then the healing process made me feel even worse, the financial burden (and it is a very big burden to those sick) has been heavy. It was only with great fear that I stopped blogging since this blog helps support my little family. But I am so thankful that many of you have continued to use this website, buy through the affiliate links, and support this blog despite my disappearance. I am truly thankful for that because it has allowed this health crisis not to have the deeper burden of having an important source of income for us dry up completely. Thank you for that very real support. These last few weeks on my new protocol has given me my love of cooking back, and I’ve been enjoying working in the kitchen again . I hope to share some of those recipes with you soon. Kimi, Thank you for all you’ve done. My heart goes out to you and I pray you start getting better!!! Your site is forever my reference bookmark and I send people here every chance I get. Aw, thanks so much, Beth! I’m doing the modified AIP diet too and I also find it so helpful! Kimi, lifting up prayers for you. I am so sorry that you have been very sick going through treatments for Lyme. If you do not mind me asking? …if you are not doing better with the lyme treatments….. have they tested you for mold illness, as well? Often the two illnesses mimic each other or go together. I have the mold illness. It could not be determined that I did not have chronic lyme until a neuroquant brain MRI was done. Lyme and mold have similar symptoms but by looking at the brain areas they are able to distinguish if I had mold and/ or lyme illnesses. I hope and pray you feel better and will be strong and healthy very soon. It’s no fun being sick. Thanks for asking. 🙂 I was actually being treated for mold illness before we found out I had Lyme. I was being treated based on symptoms and because I was exposed. It’s a really important topic! In my case, treating for mold illness helped my health quite a bit, but then it didn’t solve everything. At that point, we did further genetic testing and found out that, genetically speaking, my body should be able to handle/clear mold but that it would have a hard time fighting against something like Lyme. That’s when we pursued testing for Lyme, and found out that I was indeed positive. Sadly, it is very common for Lyme treatment to make you feel significantly worse before it makes you better, however I am thankful to be feeling a little more like myself again since we changed what protocol I was on! I always appreciate your blog, Kimberly, whenever you post. I have loved your in-laws, from a distance, as they influenced my homeschooling here on the eastern coast of the US. 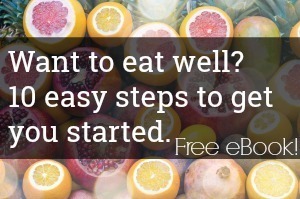 Your research into good, wholesome foods, remedies and recipes has been encouraging to me. God sends illness into our lives for various reasons and seasons, and we are to glorify Him even in those difficult times. He loves us through them, too. Don’t feel bad for taking a break from blogging, and for pouring whatever energies you can muster into your family. People last for eternity – stuff just doesn’t! 🙂 I pray that your health continues to improve every day, and the Lyme is conquered! A big ‘ol hug from an eastern NC momma, to you. God does not send illness to us. They are the result of Adams fall and creation being messed up from then on. God uses all circumstances for our good. Poor choice of words. Allow. God allows suffering – Job, Paul.